Trade Finance Africa is the first site dedicated to Trade Finance in Africa. With Tradefinance.africa African importers and exporters get access to trade financing instruments to mitigate transaction’s risks related to the African continent. Trade finance in Africa has become an important issue for Africa's trading partners, who see Africa as the most promising region for growth in trade. Africa’s total merchandise trade has grown 11 percent in 2017, to USD 910 billion, up from USD 820 billion in 2016. The African continent thus remains a marginal player in world trade in services with only 2.2% for exports and 4% for imports. Intra-African trade accounts for only 15 percent of Africa's total trade. In particular, with oil exports accounting for over 45 percent of African exports, oil exporting African countries saw a strong upsurge with exports growing by 27 % 2017, to USD 140 billion. Africa’s total merchandise imports posted a strong recovery, growing by 6 % in 2017, to USD 502 billion. Africa’s exports increased faster than imports, Africa’s trade deficit narrowed significantly in 2017, to USD 40 billion, from US$130 billion in 2016. African countries do not have all access to the sea with 17 countries depending on their neighbors for extra-African trade, using their ports. Despite efforts to diversify their exporting economies most African countries is depending on agriculture and natural resources such as oil and gas. 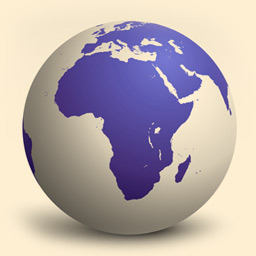 The African trade is enjoying establishment of several sub-regional economic and political agreements such as: East African Community (EAC), the Common Market for Eastern and Southern Africa (COMESA), the Economic Community of West African States (ECOWAS) and the Southern African Development community (SADC). In order to enhance the inter-African trade, African countries established a single trade market in March 2018 called the African Continental Free Trade Area (AfCFTA). Algeria, Angola, Burkina Faso, Burundi, Cabo Verde, Cameroon, Central African Republic, Chad, Comoros, Côte d'Ivoire, Democratic Republic of Congo, Djibouti, Egypt, Equatorial Guinea, Ethiopia, Gabon, The Gambia, Ghana, Guinea, Kenya, Lesotho, Liberia, Libya, Madagascar, Malawi, Mali, Mauritania, Mauritius, Morocco, Mozambique, Republic of Congo, Namibia, Niger, Rwanda, São Tomé and Príncipe, Senegal, Seychelles, Sierra Leone, Somalia, South Africa, South Sudan, Sudan, Swaziland, Tanzania, Togo, Tunisia, Uganda, Zambia, Zimbabwe. Nigeria and South-Africa having not signed yet, this is mainly due to the countries constitutional processes that require ratification of AfCFTA domestically by parliaments. Export and Import Letter of Credit, Discount of Confirmed and Unconfirmed LC’s ,Letter of Credit Refinancing, Back to Back LC’s, Standby LC’s, Documentary Collections, Draft Discounting, Promissory Note Discounting, Guarantees (bid bond, performance bonds, advance payment bond), UPAS 11 (Usance Letter of Credit Payable at Sight), Holding Documents, Structured LC’s, Silent Confirmation of LC’s, Receivables Discounting. In Africa as well, a letter of credit is a financial instrument that plays a major role in foreign trade since it alone facilitates the vast majority of export and import transactions while comforting the financial risks of both parties, the African exporter and African importer. A letter of credit (“LC”) is a written undertaking by a bank (the issuing African bank) to the seller (the beneficiary) in accordance with the instructions of the buyer (the African applicant) to effect payment up to a prescribed amount within a specified time period against presentation of prescribed documents, provided these are correct in order i.e. they conform with the requirements of LC and International Chamber of Commerce (ICC) guidelines. The importer who opens a letter of credit with his bank. The importer's bank will issue the letter and send it to the exporter's bank. The exporter's bank that will receive the letter and who will verify that the documents sent by the exporter comply with the letter of credit received and therefore with the commercial contract. The exporter also called the beneficiary of the letter who will receive the funds from the export operation. Sometimes a fifth party contributes to the transaction, it is the refund bank that will settle the exporter's bank in case the importer's bank does not have an account at home. The operation of a letter of credit is based on the principle of give and take, that is to say that both parties will only send their money against goods and vice and versa if the banks that protect them agree that everything reflects the clauses of the sales contract. In Africa, thanks to the letter of credit the African importer's bank is obliged to guarantee to the exporter's bank that the payment is made as soon as the documents necessary for the recovery of the goods are sent by the confirming bank of the exporter. In fact, both banks, the seller's and the buyer's bank, verify and guarantee that both parties respect their obligations, one that the payment will be made and the other that the goods comply with the terms of the contract. As to the African trade business as well, the operation of a letter of credit follows a chain of actions that range from the signing of the commercial contract between the importer and the exporter to the payment of the goods and the delivery thereof. The buyer opens a letter of credit with his bank for the benefit of the seller. The buyer's bank sends via SWIFT the text of the letter of credit giving details of the transaction and payment terms to the seller's bank. The seller's bank notifies the seller that it is in possession of the letter and that it is ready to add its confirmation, means, it will pay even if the buyer has defaulted. The seller sends all the necessary documents so that the buyer can recover his goods. The seller's bank checks if the documents comply with the buyer's requirements. As soon as the document are found conform, the seller's bank pays the exporter and sends the documents to the buyer's bank. The buyer is able to use the documents to pick up the goods from the carrier. WHAT IS AN LC CONFIRMATION FOR AFRICA? A confirmed credit is one to which a second bank, usually in the exporter’s country, adds its own undertaking to that of the African issuing bank, that payment will be made. Confirmation means a definite commitment of the confirming bank, in addition to that of the issuing bank, to honor or negotiate a complying presentation. When the beneficiary receives an irrevocable and confirmed letter of credit, he has not only the commitment of the issuing bank, but also a binding undertaking given by the confirming bank to pay when documents are presented which comply with the terms of the credit. Confirmed and irrevocable letter of credit. Back-to-back letter of credit if the LC is not transferable. Transferable letter of credit, if the exporter puts the letter in favor of another seller. Letter of credit using blockchain. The letter of credit obeys strict regulations adopted by all parties using foreign trade instruments under Uniform Customs & Practice for Documentary Credits 600 (UCP 600) which are regularly published by the International Chamber of Commerce. The purpose of this regulation is to enforce compliance by all parties involved in a letter of credit with their commitments in a transaction covered by a letter of credit; the UCP 600 being applied only when it is mentioned in the text of the letter sent by SWIFT. A letter of credit is in principle and very simple to understand and use, it is the details that often make the difference and a company should always leave that to documentary credit specialists. The seller is certain to recover his money as soon as his bank has added his confirmation. The buyer is reassured that the documents provided are in accordance with the goods. The seller does not have to worry about the money transfer or problems of foreign exchange regulations and currencies of the buyer's country. The duration of the transaction is often fast and only takes a few days. With a letter of credit, the exporter an imminent cash back guarantee for his banker. The seller requesting a letter of credit for the sale of his merchandise indicates that he has no confidence in the buyer. Fees and commissions are high compared to a documentary discount. Risk of documentation for the buyer when there is a difference between the details of the documents and the goods arriving at the buyer's port. Sometimes difficult to detect even for banks if a document is wrong or not. A bank guarantee/bond may be defined as the irrevocable obligation of a bank to pay a sum of money in the event of non-performance of an undertaking by a third party. The guarantee is a separate obligation independent of the principal debt or the contractual relationship between the creditor and the principal debtor. Under the terms of the guarantee the bank undertakes to pay on first demand provided that the conditions contained in the guarantee are fulfilled. Bank Guarantees are subject to the laws of the country of the Guarantee issuing bank unless otherwise it is mentioned in the guarantee documents. A bank guarantee which has already been issued cannot be revoked; further, an amendment of the guarantee conditions is only possible with the consent of all parties to the guarantee. A guarantee is completely autonomous from the underlying contract/business. Objections from the underlying transaction (for instance in case of a claim for payment) may therefore not be raised. Guarantees are payable at first demand, are usually valid for a stated period, although some can be open-ended, and cannot be unilaterally extended/curtailed by the applicant. © 2019 tradefinance.africa All rights reserved.